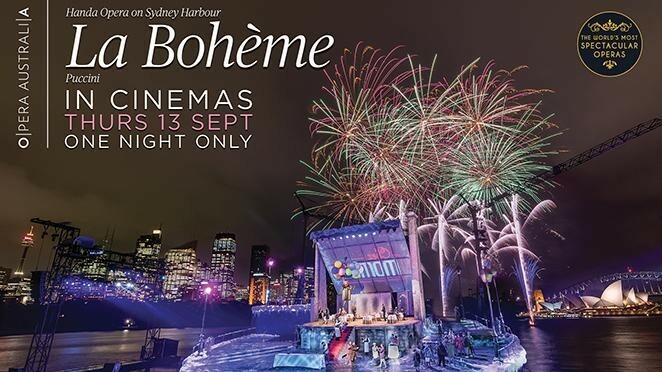 From the World's Most Spectacular Opera series, experience the love, laughter and loss of La Bohème at the magnificent Handa Opera on Sydney Harbour. Puccini's beloved classic – the original bohemian love story – has long captivated audiences around the world. His music swells with love, soars in ecstasy, crackles with jealousy and cries with heartache. With lavish sets and costumes transforming the harbour-top stage into a romantic Paris winter, Opera Australia's glittering production will be an unforgettable delight.